In the summer we have plenty of fresh, local, in season produce readily available. In the winter, however . . . until we set up a greenhouse of some kind, we have to rely on readily available grocery store fare. Two of our favorite salads are easily made with vegetables widely available any where any time of the year. Combine first 7 ingredients in a measuring cup to create dressing. 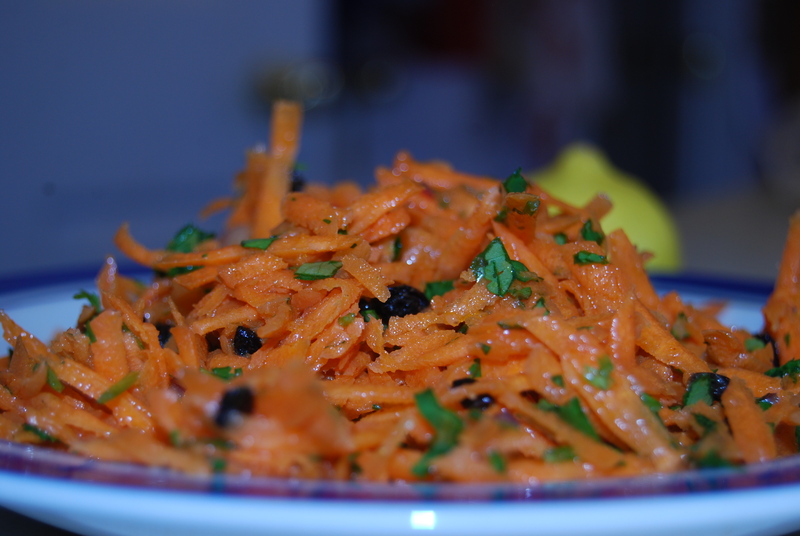 Wash and/or peel and grate carrots into medium size serving bowl. Add cilantro, raisins (I like the golden ones best for this recipe but any will work.) and onion to carrot and mix briefly. Pour dressing over all and mix thoroughly. Can be served immediately but flavors will meld if allowed to rest for half an hour or so. **Fresh cilantro is wonderful! If you have extra you don’t know what to do with, add it to green salad, serve it with tacos or add to any mexican dish. Thoroughly combine first 8 ingredients in large measuring cup to create dressing. (This does make a lot of dressing. 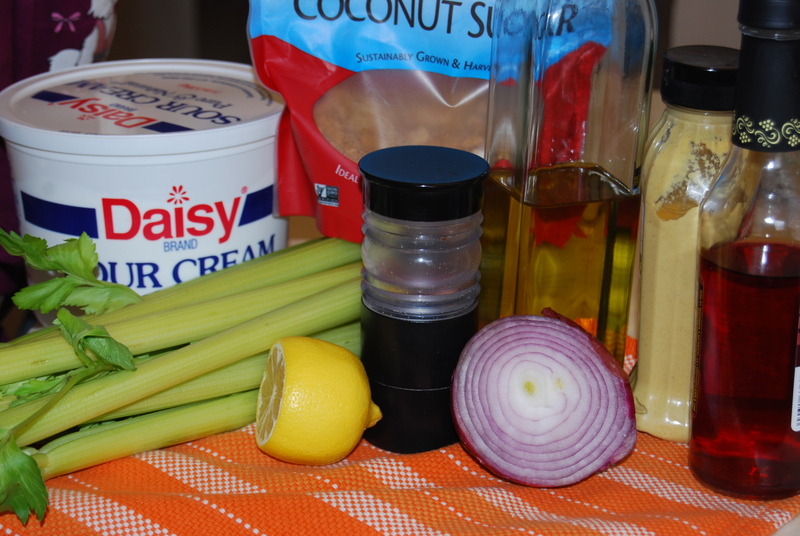 I often use 1/2 a recipe of dressing on about 4 cups celery.) Slice celery, including leaves, as thinly as possible and place in medium size bowl. You want somewhere between 4 and 6 cups of sliced celery. Fold dressing into sliced celery and mix thoroughly. Can be served immediately but flavors will meld if allowed to rest for an hour or so. The original recipe recommends marinating in the refrigerator for at least three hours. If you remember to make it that far ahead of time, great! Otherwise, it is still very good. Categories: Edible, Recipes | Permalink.